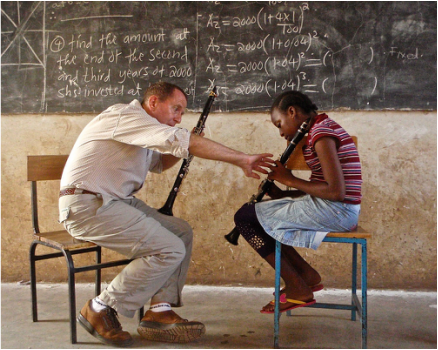 C4C Tanzania: Founded in 2010, Clarinets for Conservation provides an interdisciplinary approach to sustainability through music education. The clarinet is derived Tanzania’s national tree, the Mpingo, also known as African Blackwood and Grenadilla. The tree is of great value to artists, furniture makers, and hardwood carvers all over the world, but the high demand has threatened future sustainability of the tree. Students of the program serve a vital role in educating their families and community members about the importance of protecting natural resources. Clarinets for Conservation believes that every individual child can make a lasting impact in their community with the right guidance. Education is a bridge for success! We seek to bridge the principles of education, cultural connectivity, and conservation. C4C USA: Clarinets for Conservation events range from informative lecture-recitals for collegiate communities to musical story- telling programs for elementary schools and concert recitals at churches and arts centers. The programs feature works living American composers, including Brett Wery and Sarah Hersh, to classical works by Mozart and Brahms, newly commissioned works, and engaging arrangements of popular tunes. 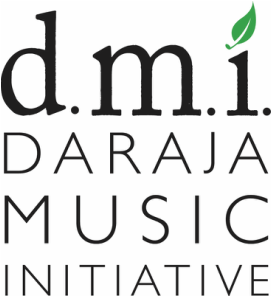 The goal in every event is to showcase great works, both classical and contemporary, while raising awareness about issues of sustainability and world community. Would you like us to visit your community? Email us here!